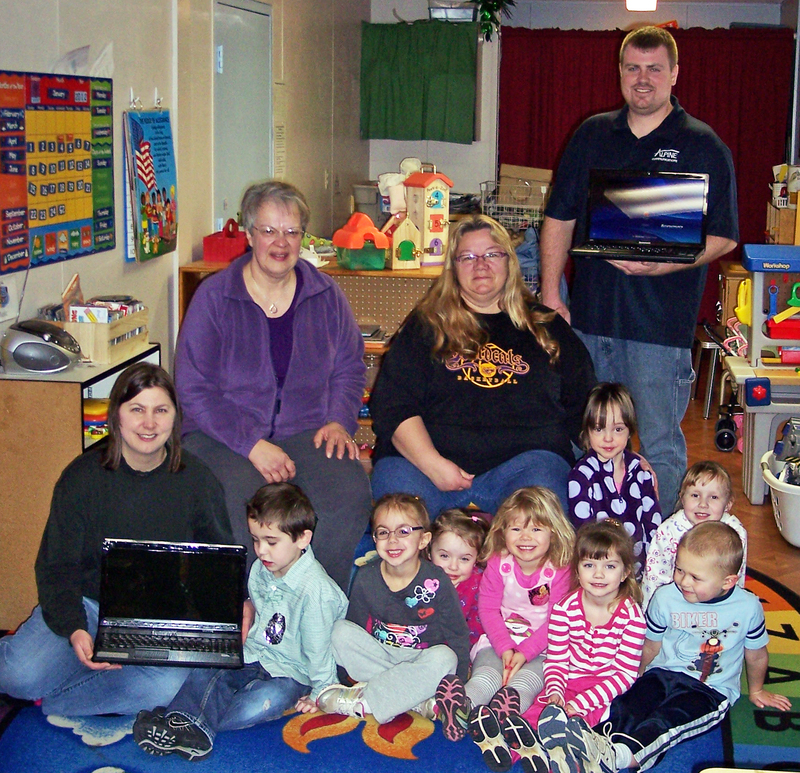 February 24, 2012 – Alpine Communications recently awarded an Alpine Technology Grant to Kids Kampus in Guttenberg. The grant awarded was valued at more than $1,500.00 including two Lenovo laptop computers, Microsoft Office 2010, two computer set-up and data transfer services. “By helping Kids Kampus upgrade their technology, it enables them to communicate in engaging and interactive ways. We are thrilled to support endeavors that enhance the quality of life in our communities through the use of technology and communications,” said Chris Hopp, Alpine general manager. The Alpine Communications Technology Grant Program was recently established to provide technology tools and communications services to nonprofit organizations. Alpine has donated over $75,000.00 in the form of grants and scholarships to the communities we serve since 2004.